King Lois the Umpteenth is a tyrant. A tyrant who has been oppressing the poor forest squirrels for the longest in Acorn Assault: Rodent Revolution, and it’s time to end his rule. Nuts will fly as an event not entirely unlike that of the French Revolution is set in motion. Well, if said revolution featured squirrels in place of soldiers, anyway. Rodent power! Not even joking, as in this turn-based affair, it’s squirrel against squirrel. On one side, the freedom fighters – on the other, well, the bad guys. It’s how they’re portrayed here at least, so we’re gonna go with that. Muskets, sharp-as-razors blades and other unwieldy weaponry make up the armement, while sandbags, barrels and similar sturdy things help keep each side safe from the other… however temporary. Why? Bombs. Kaboom. The king’s greed knew no bounds and set out to bankrupt his people by taxing their hard earned acorns. With no acorns to any of the peasant’s names they grew angrier and angrier as each day passed. While the premise may seem a tad silly, far as I can tell, the strategic element looks quite solid, and really, isn’t that what matters the most? Also, when was the last time you got to partake in all-out squirrel warfare, really? Exactly. Heck, there’s even local – and online – multiplayer, for whenever you tire of taking on the monarchy, and feel like destroying other players instead. Remember, no one expects the rodent revolution! 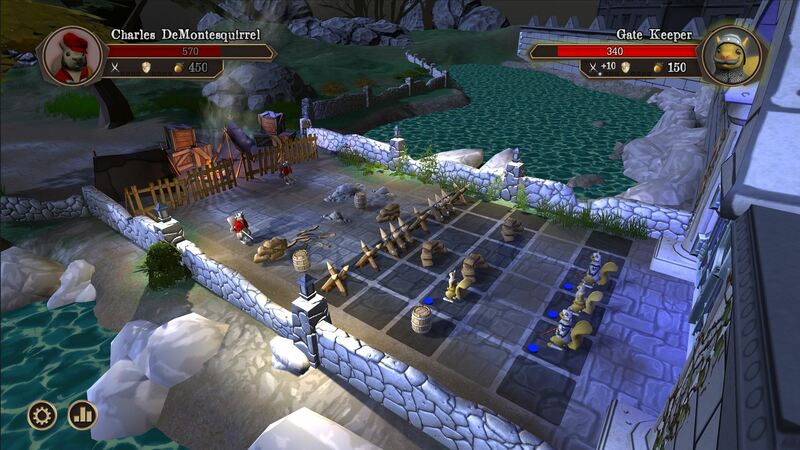 Acorn Assault: Rodent Revolution is available from Steam, carrying a $14.99 price tag.